Summer is here and it can be a difficult season for our four legged friends. Horses have natural methods for regulating their body temperature, such as sweating and an increased respiratory rate, which allows heat to be expelled during the breathing process. Usually horses can handle the outside temperature and humidity, but remember that summer is the time that we put an increased demand on our horses physically. Exercise increases the amount of heat that your horse produces and makes it more difficult for your horse to cool itself down. Heat stroke can also be seen in horses stalled in a poorly ventilated area. The signs of heat stroke in horses can be a high temperature (up to 106), rapid breathing, a rapid pulse, weakness, depression, and an unwillingness to eat or move. Severe heat stroke can lead to collapse, convulsions and even death. The clinical signs of heat stroke may be either mild or severe, but either way, treatment is indicated. If you are concerned your horse is having a heat stroke, place your horse in the shade and begin hosing him down with cold water. Placing a fan on your horse may also help to cool him down. Your horse should be offered frequent, small amounts of water in order to rehydrate him. Electrolyte paste, and in severe cases, IV fluids may also be indicated. While it is important to be able to recognize the signs of heat stroke, prevention is even better! The most important thing to consider when riding your horse on these hot summer days is that your horse is adequately hydrated. The average adult horse drinks 8-10 gallons of water each day. If your horse is engaging in exercise, then he can easily require more than that. An electrolyte supplement is also helpful. Use one without sugar, dextrose or sucrose. Put the electrolytes in their feed. If you put it in their water, make sure they have an alternate plain source of water as well. If you have an older horse that has trouble shedding out his winter coat, body clipping him can also help prevent heat stroke. It is also important to make sure that your horse is adequately in shape for the physical tasks that you ask of him. 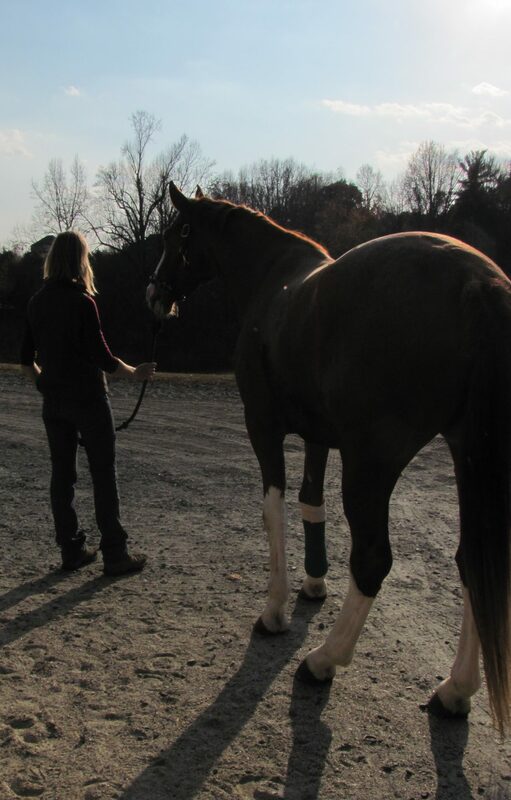 Take the time to work your horse up slowly. While even a fit horse can have problems on a hot, humid day, having a horse that is in shape will decrease his risk of heat stroke, as well as making for a more enjoyable ride. Enjoy the fun days of summer and stay cool!